... Among all the frantic racing around, shouty dialogue and incomprehensible nonsense of the past few series of Doctor Who, there have been glimmers of a three-dimensional character, but Peter Capaldi wasn't given the space (no pun intended) to create one and inhabit it. When allowed a short amount of silence, he filled it with so many unspoken words. Ann Sheffield wins the DVD of Doctor Who, series ten, part two, starring Peter Capaldi. It's available to buy. APA 6th ed. : (2017-07-15). Time Lord Chills. 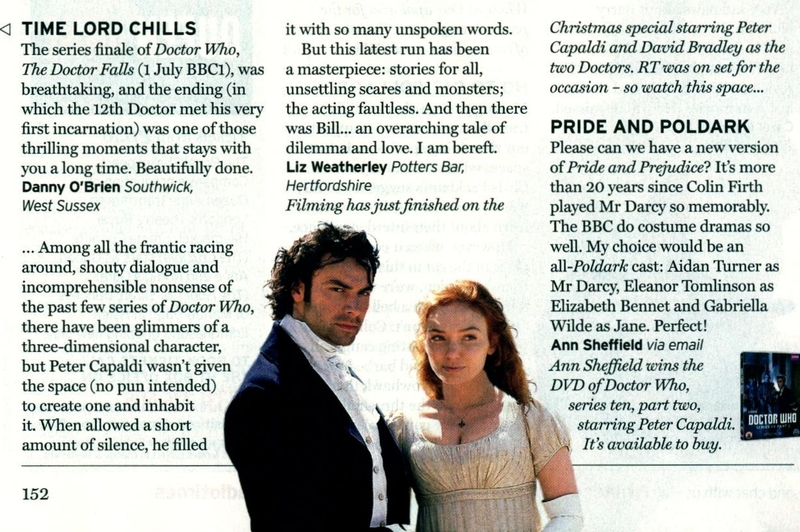 Radio Times p. 152. MLA 7th ed. : "Time Lord Chills." Radio Times [add city] 2017-07-15, 152. Print. Turabian: "Time Lord Chills." Radio Times, 2017-07-15, section, 152 edition. This page was last modified on 14 January 2019, at 23:11.